The Kernow Branch of the Celtic League has written an open letter calling for a formal inquiry into what they allege is the “mismanagement” of an historic site in West Cornwall by English Heritage and Natural England. 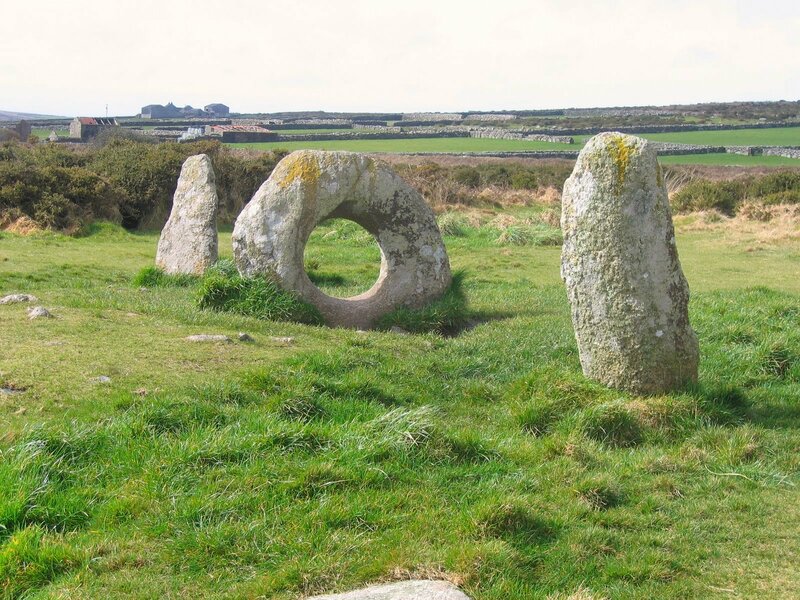 The letter has been sent to a number of organisations and politicians involved with the protection and maintenance of Penwith Moors in West Cornwall and the ancient monuments on the site. In the letter the Branch highlights its long standing concerns regarding what they describe as the ‘mismanagement’ of the site by English Heritage (EH) and Natural England (NE). 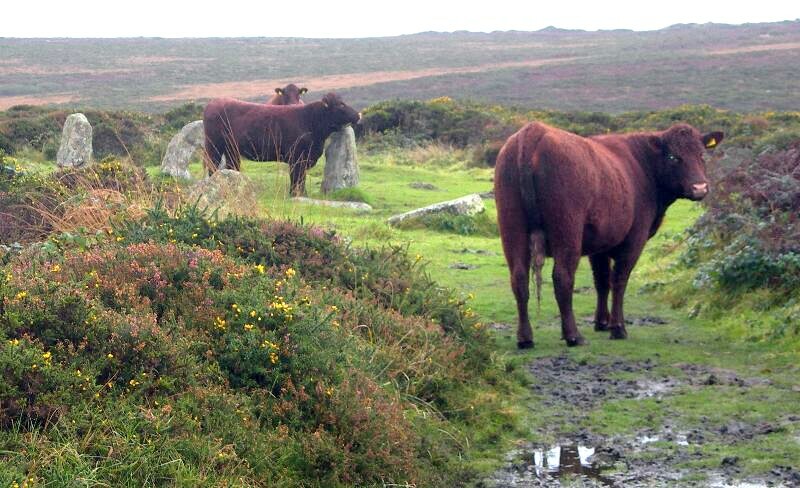 In the letter the Kernow Branch accuse EH and NE of causing damage to the environment in the area and in particular the standing stones through their inappropriate use of fencing and cattle, which are damaging the stones and scaring visitors to the site away. In addition the Branch calls for “the establishment of a Cornwall only Heritage and Environment Organisation with local democratic accountability” to take over the involvement of EH and NE in Cornwall. An incumbent Cornish Member of Parliament has previously argued that English Heritage should be replaced by a Cornish heritage organisation, saying that “Heritage is not English; it’s ours”. The moors of Penwith in west Cornwall are an area to be cherished and treasured. With a history extending back thousands of years, the district contains many ancient sites of International note amongst them the Men an Tol and the Tregeseal Stone Circle. These sites are iconic and form a part of our world recognised Cornish heritage. As an organisation, we are extremely concerned at the current management of the moors and ancient sites by English Heritage (EH) and Natural England (NE). Our Branch has now had sight of evidence which confirms beyond all doubt that these two organisations are openly and deliberately overseeing irreparable damage caused in this area. This evidence has been witnessed by some of our members at first hands who have visited the sites and there is now overwhelming photographic and video material to hand. The introduction to this environment of unsuitable cattle and fencing as well as other ill thought out actions is a matter of great public concern. Ancient monuments are being trampled over by these large beasts and many visitors are being frightened away. Much of the evidential material lays in the hands of a campaign group ‘Save Penwith Moors’ (SPM) and also a charitable partnership, the ‘Cornish Ancient Sites Protection Network’ (CASPN), two local organisations which care greatly for the area. We have consulted with both CASPN and SPM and indeed other interested parties in advance of this communication. SPM was set up in July 2008 by six local residents to campaign for a few of the most popular areas of open access heath land that includes much archaeological heritage both mining and prehistoric, to be left free of new stock proofing and grazing for the benefit of local and tourist recreation and education. From that start with six concerned locals, SPM now has a membership of 600. Many other organisations and individuals are now noticing the grave mismanagement of Penwith Moors. Higher Level Stewardship (HLS) is destructive to the historic environment and English Heritage is supporting it despite the evidence presented by SPM. English Heritage’s stance is that the monuments are being damaged by visitors but this rests on the personal opinion of that organisation’s Anne Preston-Jones and not on clear and unequivocal evidence. English Heritage continue to bizarrely maintain this stance despite the discrepancy between opinion and evidence and have only reluctantly added cattle damage to their report on Tregeseal after submission by SPM. They still favour damage by visitors and give that more weight than their evidence can support. CASPN probably has more evidence of damage to the paths and surrounds at Men-an-Tol, particularly the turf around the central stone, but they have been excluded in favour of HLS and its inherent damage. Therefore, EH is allowing, even encouraging the damage to Cornwall’s historic environment rather than admit that their HLS scheme is flawed and damaging. Some grazing in this area might be acceptable but this needs to be done in a better planned and managed way. To allow grazing when the area is soft and wet does not represent responsible stewardship. These problems are not limited to Cornwall. We should remember that SPM are in contact with other similar organisations in other parts of the UK who are also having their local environments decimated by the very agencies that claim to protect them, usually Natural England and English Heritage. However, in Cornwall, especially in Penwith, there are monument types that are not found elsewhere, and so the damage being allowed by English Heritage and Natural England has a greater impact than damage in other environments in Great Britain. Cornwall’s heritage is unique and this rare and precious heritage has a history of destruction by remote authorities usually administered from London. English Heritage is now presiding over the most intensive destruction of Cornwall’s unique heritage in a generation. For an agency that is supposed to protect our heritage to be actively engaged in destroying it demonstrates that English Heritage is not fit to protect Cornwall’s heritage. CASPN was set up because people used to deliberately destroy the stones of our motherland. Since then they have become the bench mark, grass roots, protective organisation which is used as an example to set up similar organisations elsewhere, such as for example the Dartmoor NPA. Yet CASPN have now been refused the paltry funding EH used to give them and now will be put into the untenable position where in order to protect ancient monuments, they will have to go begging to the heritage organisation that is destroying it. Declining resources may be at the root of these problems. Our organisation takes heed of the contents of the ‘Fifth report on Local Authority Staff Resources’ produced by English Heritage, the Association of Local Government Archaeological Officers and the Institute of Historic Building Conservation. Predictably and unfortunately Cornwall is not singled out. However, in 2006 this report shows that the “South West” employed more Full Time Employees in the heritage sector than any other region. Since then, the drop of professionals in Heritage has reduced to equal or less than the East of England and the South East regions. So while there has been a reduction across all regions, it is most marked in the South West region and the current Penwith Moors crisis may reflect this loss. In the past 12 months the number of archaeological specialists advising local authorities in England has fallen by 3% and the number of conservation specialists has fallen by 4%. EH and NE have lost all credibility in Cornwall and to protect our historic environment, EH must be permanently removed from every part of our precious Duchy. Instead, protection of our ancient environment should be the responsibility of an agency based in Cornwall that actually protects it. At the moment, the only such organisations in Cornwall are locally-led groups like SPM and CASPN. Mr. Eustice’s words could be easily applied to heritage and the environment throughout Cornwall. We call for a formal inquiry into the mismanagement of Cornwall’s heritage and environment by English Heritage and Natural England most particularly in Penwith. We call for the establishment of a Cornwall only Heritage and Environment Organisation with local democratic accountability. We add our support to the campaigning work of ‘Save Penwith Moors’ and ‘Cornish Ancient Sites Protection Network’. We seek your earliest attentions to the contents of this letter whilst wishing to inform you that it together with our appeal will be circulated to all interested and relevant Westminster Departments and Agencies, to Cornwall’s MPs and certain Cornwall Councillors, to our contacts outside Cornwall including at the United Nations and to the wider media. The General Secretary will determine the appropriate branch or General Council Officer to respond to your query. The Celtic League has branches in the six Celtic Countries. It works to promote cooperation between these countries and campaigns on a broad range of political, cultural and environmental matters. It highlights human rights abuse, monitors all military activity and focuses on socio-economic issues.